'90s kids may remember Shweta Tripathi as Disney's affable and effervescent teen icon Zenia Khan from the ever-so-popular original series, Kya Mast Hain Life (How Wonderful is Life). From navigating life and friends in a near-perfect world of candyfloss and coffee joints, to playing a middle-class girl struggling to give wings to her aspirations in Gone Kesh, Tripathi sure seems to have come a long way. Ever since her breakthrough in the 2015 critically acclaimed film Masaan, Tripathi has almost become the poster-woman for explorative, new wave Indian cinema situated in Hamletian small-towns. From playing a schoolgirl charmed by her married schoolteacher in Haraamkhor to portraying gun-weilding Golu Gupta in Amazon Prime Video India Original Mirzapur, Tripathi has created a number of memorable roles in her career. 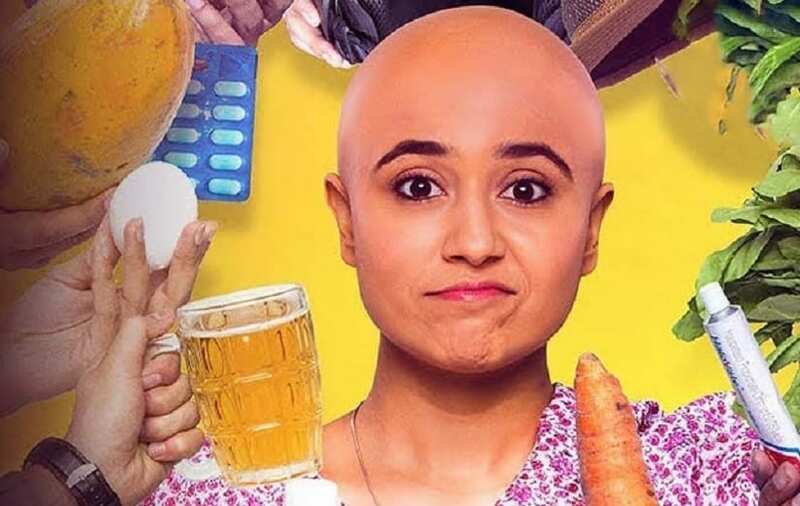 In her latest release, Gone Kesh, Tripathi plays a adolescent girl, Enakshi, who rapidly starts losing hair after she is diagnosed with alopecia. An aspiring dancer that she is, Enakshi's condition shatters her confidence to conquer the stage sans her crowning glory. Talking about how she prepared for the role, Shweta said that the watertight script ensured that the research on the autoimmune condition was as thorough as it could be. Shweta admits that she was completely unaware about alopecia before Gone Kesh, but her interest was spiked when she started reading the script. Then, like the millennial that she is, she entered the vortex of the internet to learn as most as possible about the disease. "I also started following a number of people on Instagram who are undergoing the same thing." The research, she says, aided her in her understanding alopecia and the psychological impact that it has on its patients. "I understood a lot about their mood swings, which is so important to empathise with the character." She further expounds on the problem associated with the general notion about alopecia. "There is an understanding that alopecia is not a big deal because it is not life-threatening. But while it's not life-threatening, it sure is life-altering," asserts Shweta. "At the age that Enakshi is, people avoid going to public spaces such as schools because they are poked fun at. 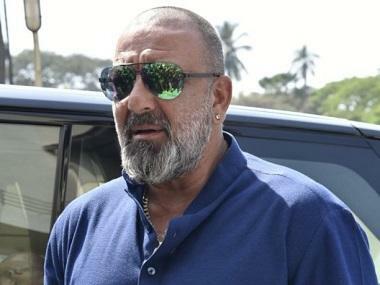 There is one particular scene in the film when Enakshi's peer says 'Uss ke sar ke peechhe island hai' (there is an island behind her head), referring to her speedily-growing bald patch." she adds. Gone Kesh is, at its core, an underdog story of self acceptance and empowerment, that aims at debunking notions of normative, skin-deep standards of beauty. "In every classical dance form, including Kathak and Bharatnatyam, the accessorised choti (plait) is one of the key aspects. Even in advertisement, women are shown to have ghane kaale baal (thick black hair)." But what films and advertisements neatly tucks away under the glory of glaring lights is that, Shweta reveals, "Actors and actresses more often than not use hair extensions and wigs, and there is always someone looking after our skin and hair. People tend to overlook that we do not look like that in our day to day lives." However, while she has often played small-town characters, she swears to to never play an "eye candy" no matter how big the film is or how hefty the paycheck is. As far as mega-glamourous, larger-than-life 70-mm-screen heroines are concerned, while she would not mind playing such a character, she feels that such roles are easy to bring to life on screen. "Anybody can look glamourous if you have a good team with you. You can always look polished for events and promotions, but for me, it is the character that needs to be gripping." She quips,"I am also mortified of the idea of dancing in a saree on a snow-capped mountain. I am very sensitive to winter." As someone who comes from a non-film background (her father is a retired IAS officer and her mother used to be a teacher), her journey to Gone Kesh has been rather transformative. However, she has deliberately steered clear of repeating her roles. "Even after so many years of Kya Mast Hai Life and Masaan, I am glad that people remember my characters' names." Thus, she has lapped up every good opportunity that has come her way, irrespective of the platform or industry, be it one-episode appearance in Zoya Akhtar's Made in Heaven or a mainstream film such as Raat Akeli Hai. Having dabbled in digital, films and TV as well as in Hindi and South film industries, Shweta feels that while the emotions are often similar irrespective of the genre/industry/media, the web perhaps allows for a little more creativity, as it is not bound by the two-hour template. But she feels that the issue of censorship, that is touted as one of the merits of the digital medium, should be addressed at the grassroots level. "What I fail to fathom how kids are allowed to dance to films like Grand Masti with its item songs and their obnoxious lyrics but scenes like Richa Chadha getting slapped in Masaan is razed off. It does break out heart when Masaan gets a U/A certificate, because these are the kind of films that need to be watched. " Not just the Central Board of Film Certification (CBFC), even artistes should be responsible for the content that they are churning out, she claims. "When web shows came about first, there were a lot of trashy series that were coming out just because there is no censorship. We, as a society, have double standards and no one body can be held responsible for it. We, as a whole, need to broaden our outlook." Apart from Gone Kesh, Shweta wiill also make her Tamil debut with Mehandi Circus, where she plays a circus performer. Speaking about that challenges that she had to face, Shweta says that the film was doubly difficult for her, as she had to not only learn the language, but also play a physically demanding character of an impalement artist. "We had to train for over a month with real circus performers, and learn the art of throwing knives at the human target in order to master the technique."